Our skin is more than just the wrapping that protects our insides — in fact, it’s our body’s biggest organ. It’s also the first place to show symptoms that something’s not quite right. But figuring out exactly what’s causing your skin concerns is easier said than done. From random rashes, to a perpetually parched complexion, here are three of the most common skin concerns — and what might be causing them. 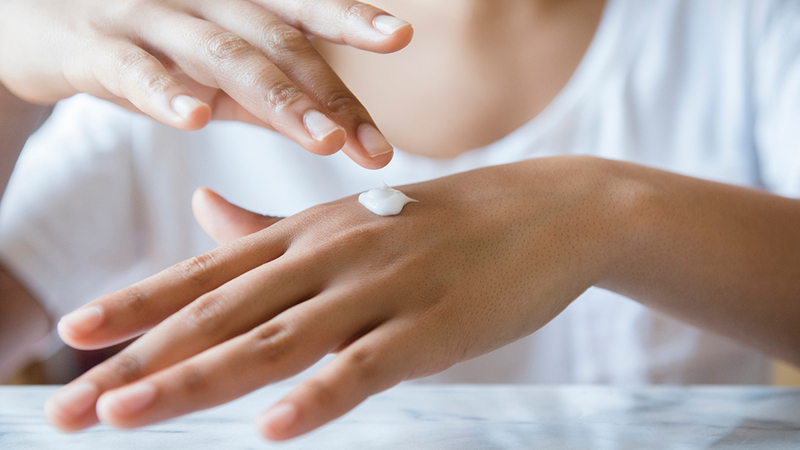 Dry skin might seem like your ‘normal’ most days, but what about when it’s sticking around no matter how much moisturiser is slathered on? No one wants to be the flakey friend, so it’s time to up your game and choose a product that’s ready to handle the dryness. There’s plenty of moisture-rich options out there that can help to manage dry skin, but the problem may be more than simple dryness. If your GP or pharmacist has identified the dryness as being a symptom of a skin condition such as eczema or dermatitis, a good product to use is DermAid Soft 0.5% Cream. It’s formulated to soothe rashes that arise from eczema and dermatitis, and it’s packed full of moisturiser to help soothe dry and inflamed skin. If the symptoms persist, consult your pharmacist who may recommend using DermAid Soft 1.0% instead. Ever noticed a rash and couldn’t work out what caused it? Well perhaps you wouldn’t be so perplexed if you realised how many chemicals you were applying to your skin each day. From deodorant to hand cream, hairspray and sunscreen, many contain plenty of synthetic chemicals that, for the best part, don’t seem to bother us too much. But for those with sensitive skin and allergies, certain cosmetics and chemicals can cause dry skin and rashes. If your rash is the result of an allergic reaction to chemicals present in cosmetics, a good option is to apply a thin layer of DermAid Soft 0.5% two-to-four times daily for no more than 7 days — and consider trading in your cosmetics for a more natural approach to glowing skin. Again, if the itchiness or rash persists, consult your pharmacist who may recommend using DermAid Soft 1.0% instead. For most of us, purchasing a few pieces of cheap jewellery is, well, part of the shopping experience. But those budget-bling pieces are often made from nickel and, surprisingly, nickel allergy is actually pretty common. If you’ve ever worn cheap earrings and suffered a serious case of itchy-lobes, then you’re likely to be one of those with a sensitivity. It’s also one of the most common causes of contact dermatitis, a skin reaction caused by exposure to a specific allergen. If you’re suffering the consequences of costume-jewellery, DermAid Soft 0.5% Cream is formulated specifically to combat those nasty rashes. If you’re not seeing results within a week, consult your pharmacist who may recommend using DermAid Soft 1.0% instead. Specially formulated for sensitive skin, DermAid Soft 0.5% and 1% Creams provide temporary relief from symptoms of minor skin irritation from eczema, dermatitis, cosmetics and jewellery.